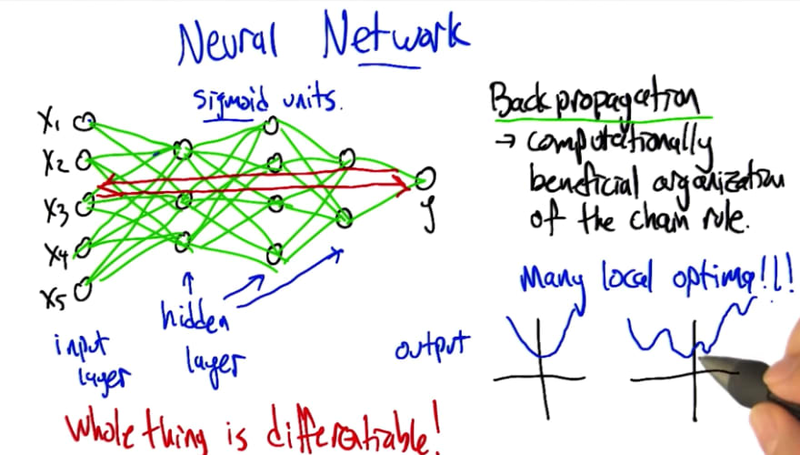 This is the 4th in a series of class notes as I go through the Georgia Tech/Udacity Machine Learning course. The class textbook is Machine Learning by Tom Mitchell. Behold, a Neuron. You hopefully have a few of these. Information travels from the cell body in "spike trains" down the axon and causes synapse excitation on other neurons. So Neurons are a complicated computational unit. They can be tuned or trained through a learning process to fire on different things, and other neurons can fire on that, and so on. Brains are a tight wad of 100 billion neurons, or a natural neural network, if you will, all firing one after the other to make conscious and unconscious decisions. A vector of inputs are fed into the neuron, which multiplies them by a vector of weights and sums them up. 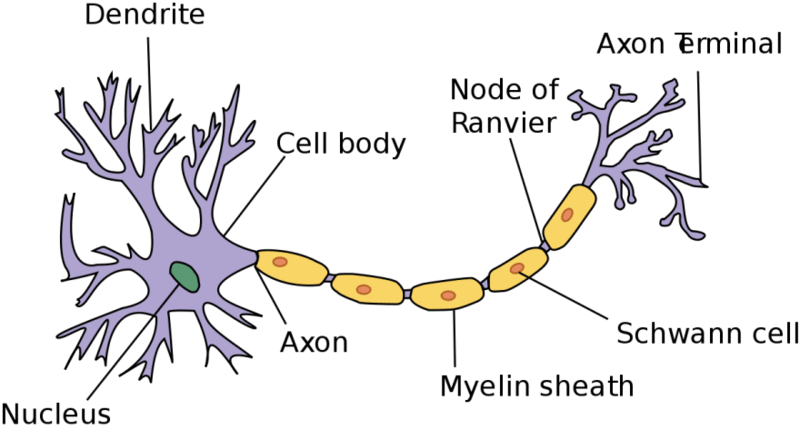 If the sum is above a certain firing threshold, the neuron is activated and fires an output of 1. If it is not activated, it has an output of 0. 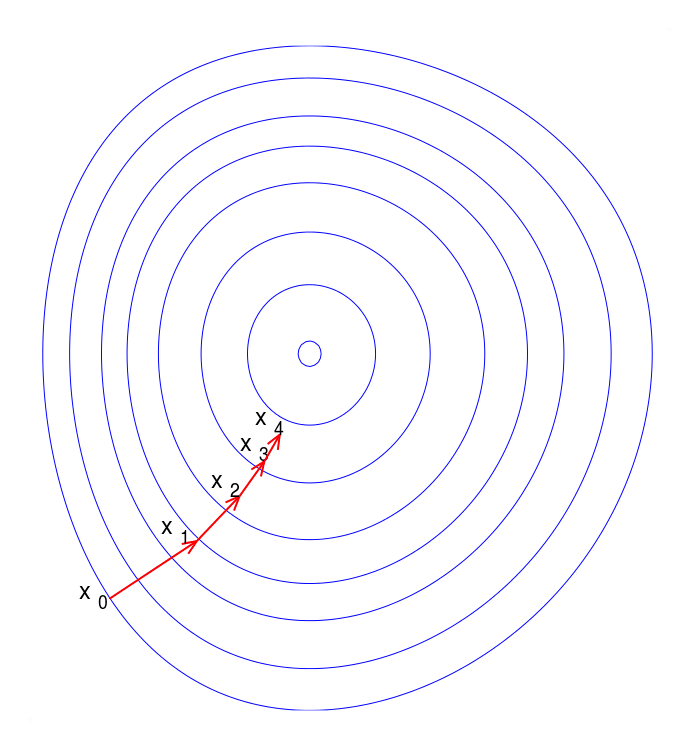 How Powerful is a Perceptron Unit? It can represent half planes in multiple dimensions. A simple perceptron with 2 binary inputs and equal weights with a threshold higher than either weight can represent the AND logical operator. If the threshold is equal to either weight, it represents the OR logical operator. Similarly you can also make NOT. Setting a single unit so it matches a training set. The weight change equals the difference of the target (what we want it to be, either 0 or 1) and the output (what the network currently spits out, also 0 or 1), multiplied by the input and the learning rate (which is a small number, like 0.01). 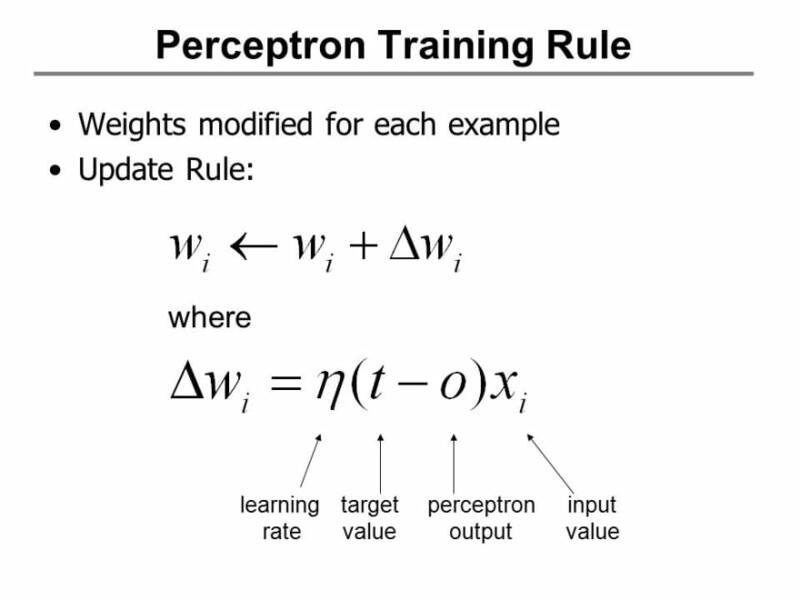 In other words, if the output of the perceptron is correct, there will be no change to the weight. But if the output is wrong, the weight will be moved a small step in the direction of the difference in target vs output. If a dataset is linearly separable, the perceptron rule will find the right plane to separate them. That's cool! However, if the dataset is not linearly separable (and we have no way to tell ahead of time, especially in multiple dimensions), the Perceptron Rule gets stuck in an infinite loop. 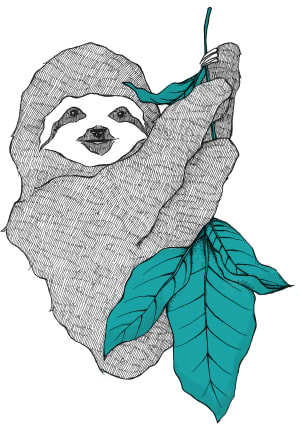 We need something more robust. The Perceptron Rule guarantees finite convergence if the data is linearly separable. Gradient Descent is more robust, but can only converge toward a local optimum. 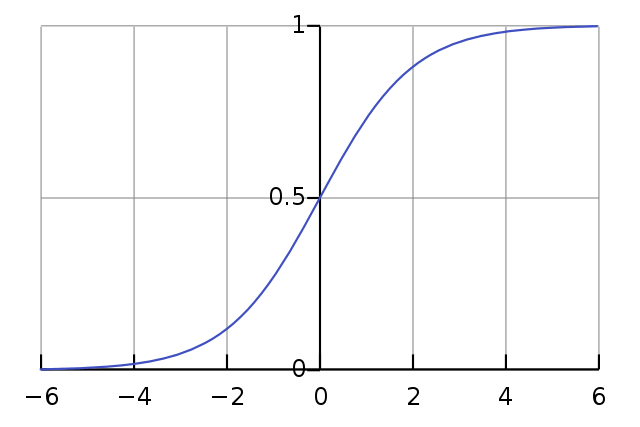 The reason we can't use gradient descent on the Perceptron Rule's y_hat is because the activation threshold behavior is a discontinuous function that is undifferentiable. What if we changed that to a function that kinda sorta looks like the activation function but that is differentiable? Which is a very neat closed form solution for gradient descent purposes. Having a network of differentiable perceptrons is very useful. Despite having multiple hidden layers between input and output, we can backpropagate the errors to update weights in the entire network! In gradient descent you can often get stuck in local optima. Sigmoid units: Much more complex - they can represent boolean, continuous (one hidden layer), and arbitrary functions (two hidden layers). So Neural nets dont have much restriction bias at all. It also means that it is very possible to overfit. To guard against this, we also use cross-validation and look for divergences in error to identify overfitting. We have specified everything for gradient descent except for how it is initialized! Most often we use small random values. This is because large weights let us represent arbitrarily complex functions and that is not good. More is available in the PDF summary here. Nice overview! Looking forward to more. 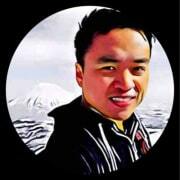 Create an account to snag your very own dev.to/username.